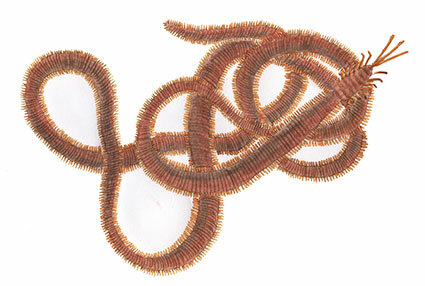 Beach worms have a muscular body that consists of hundreds of body segments. These worms can vary from a red to greenish colour on the head to a body of pearly white. Beach worms can exceed 2.5 m in length. These worms can be found burrowed in sandy areas throughout the south-eastern Australian coast at the low water mark. They are commonly collected by using a small piece of fish or meat to attract them to the surface then removing them by hand or using special pliers.